More than a month after joining Twitter, Priyanka tweeted for the first time after the Gujarat rally. 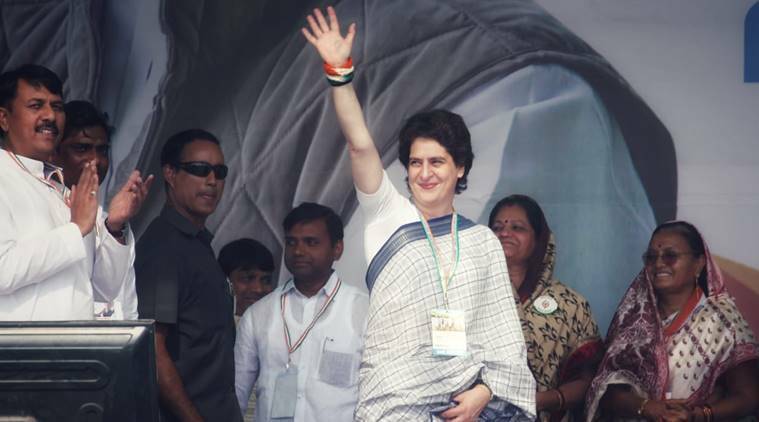 At her first rally in Gujarat after her appointment as Congress general secretary, Priyanka Gandhi Vadra chose to drop the usual style of addressing the audience. Flipping the order of greeting, she began her debut speech by saying “meri behnon aur mere bhaiyon“. While Priyanka thought people did not notice it, Congress MP Sushmita Dev certainly did not miss the gesture. More than a month after joining Twitter, Priyanka tweeted for the first time after the Gujarat rally. “In the simple dignity of Sabarmati, the truth lives on,” read her first tweet, after her first visit to Sabarmati Ashram. Her next tweet was a photo of Mahatma Gandhi’s Sabarmati Ashram along with a quote of the Father of the Nation. “I object to violence because when it appears to do good, the good is only temporary; the evil it does is permanent,” it read. In a speech lasting about seven minutes, she also targetted the ruling BJP. “Our institutions are being destroyed. Wherever you see, hatred is being spread,” she said, adding, “Nothing matters more to us than you and I protecting this nation, working for it and moving forward together.” It was in the nature of the country to convert hatred into love and compassion, she said.